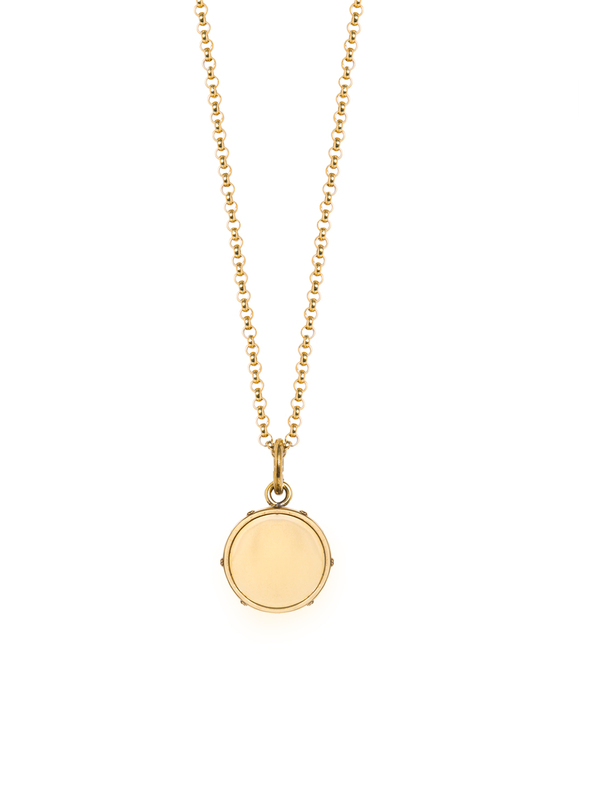 Necklace layering is something of an art form and this gold plated disc looks wonderful mixed with shorter more delicate options. The disc itself measures 2.5cm in length (including the jump ring) by 1.75cm wide. Its also the most perfect little every day necklace if you just wanted to wear it on its own. The chain is solid sterling silver and has been plated in 23.5 karat gold in Italy.